This page created to make it easier for visitors and new-to-the-gang people to find the various locations that Gang Show use. We hope you find it useful - comments about it's usefulness will be welcomed. This venue is used for Special Thursday rehearsal a couple of weeks before the show. This venue is used for Sunday rehearsals - please see the diary for which Sundays, and what times you will find us here. 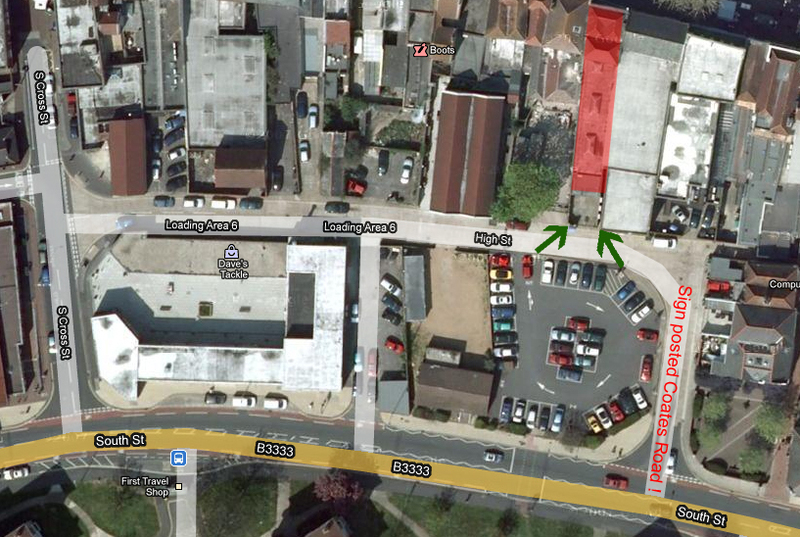 This venue we use for about the last 6 Sundays prior to the show - please check the diary! This venue we use occasional meetings and special rehearsals. Rear of 115 High Street, (off South Street), Gosport. 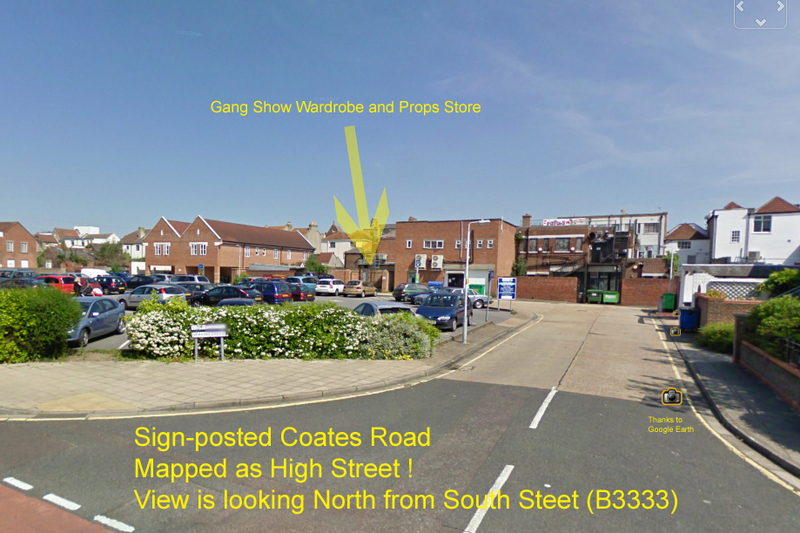 This as it says is the place where we store our Costumes and Props, note the entrance is off a service road, off of South Street (B3333). Some people have found difficulty finding it so we have now included some extra images and detail to help you locate it. Please note the entrance is not on the High Street itself - although that is it's official address, it is accessed via South Street. There is an adjacent public car park. The map also shows it as High Street/Loading Area 6 but is Sign-posted "Coates Road" and "Loading Area 6." Two landmarks on South Street. might help it's between The Police Station and the The George and Dragon. Visits here are entirely by appointment - Gang Members will be given time-slots in which they can visit when required.